ISIS fighters receive pay cut. Smoke rises in the distance behind an ISIS flag south of Kirkuk, Iraq, on Sept. 11, 2015. Fighting for ISIS isn’t as lucrative as it used to be. The Syrian Observatory for Human Rights, a London-based monitoring group with contacts throughout Syria, has published what it says is an official statement the group issued in December announcing the halving of fighters’ monthly salaries. That means foreign fighters will have their income reduced to $400 per month. Syrian fighters, who are paid less, will now have to make due with $200. The decision was taken “because of the exceptional circumstances that the Islamic State is passing through,” according to the statement. The caliphate has indeed been going through a rough patch, losing ground to U.S.-backed Iraqi and Kurdish forces on its eastern flank, and Russian-backed Syrian regime forces in the west. As ISIS gets much of its funding from the extortion and “taxation” of people in the areas it controls, these setbacks hurt its bottom line. 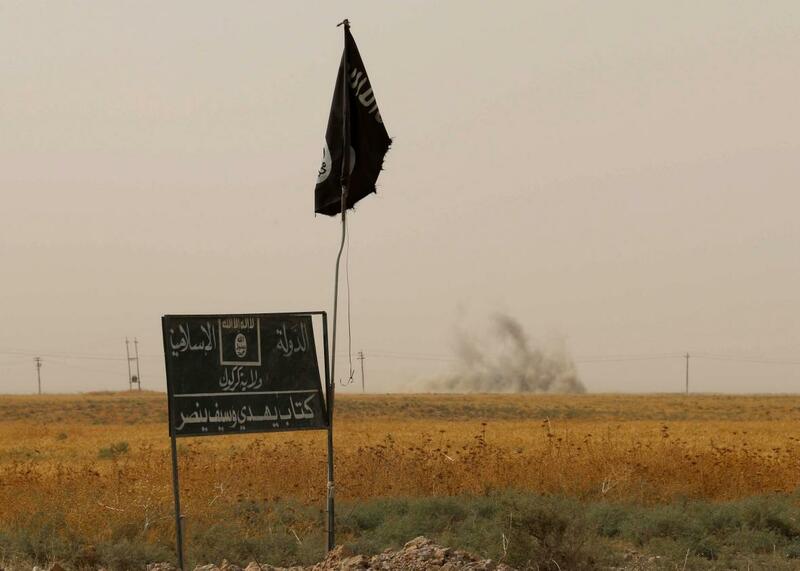 Attacks on ISIS’s oil reserves may also be contributing to the group’s money woes. Nonetheless, there’s little indication that the flow of fighters from around the world to ISIS has slowed significantly, despite the difficult times and some evidence that it’s become harder for foreign fighters to cross the Turkish border into Syria. A U.S. official told NBC last week that the number of ISIS foreign fighters on the battlefield has increased by 6,000 since this past fall and more than 16,000 in the past year. It seems pretty safe to assume that most of these recruits aren’t in it for the money, so who knows what impact the salary cuts will have.